Megan Kuethen joins us for Reset 2017 from Orange County, California. She is a wedding & family photographer who recently took a trip to India to serve as a photographer for a mission team. She’s talking with us today about rest, balance, and busyness. Thanks for joining us this year, Megan! A collection of very used Puffs tissues and an empty Camelbak water bottle were scattered on the bed, evidence of my demise. “I can go,” I insisted in a whine eerily similar to that of my three-year-old nephew’s. Squinting her eyes at me, the nurse firmly restated the obvious: “I’m not letting you.” Obvious because she was physically blocking the door… not that I could stand if I wanted to. It was day ten of fourteen in Andhra Pradesh, a state in southeast India, where my team of 31 Orange County, California residents were conducting medical clinics, bringing food to the impoverished, serving lepers, visiting AIDS and HIV patients, hanging out with orphans, and giving all the love we could to the people of rural Tenali and the surrounding areas. As one of the group photographers, I’d been carrying around a backpack full of gear for those ten days, and even heavier than my Nikon body, three lenses, and tripod was the responsibility I felt to document the trip well–not only for the members of my team, but for their families and friends, and the donors who had sent us all on this mission. Missing even one activity meant, to me, letting them all down. I’d been going and going and going for ten days… but really, not just ten days. Because before the trip, right up until the very moment I left, and even on Christmas, the day before, I’d been working on family sessions. Since October. And before that, it had been wedding season. A slower year for me, to be sure, but I’d still shot 33 weddings. And before that… Well, you get the idea. My hashtag is #MeganOnTheMove, and I strive to live up to it. So there I was, lying on a bed in India, being told I was too dehydrated, physically exhausted, and sick to be with my team. In high school, I played water polo. Relentlessly, because I loved my teammates and they meant the world to me. This team, this amazing group of souls with whom I’d travelled all the way to India, I loved them even more. I couldn’t bear the thought of not being with them, and worse, letting them down by not documenting the beautiful moments of the next few hours. I had plead and begged, bawled and pretty much thrown a full-blown tantrum in an effort to go. And the truth was, much as I hated to admit it, she was right. Not only had I been running myself ragged before the trip, not only had I been pretty much haggard the entire time we’d been in India, but I hadn’t planned any downtime for myself, and would be returning to the States a few days later to a bunch of editing for things that had happened whilst I was gone, and two sessions and two weddings to be shot–followed by conference season and… you know how it goes. The busyness. The never rest. The keep moving or die. I didn’t come to India to lie in a bed and rest. I didn’t come to India to abdicate the responsibility of photographing precious, once-in-a-lifetime moments. But maybe that really was why I was there. I’ve been home three short weeks, and am already behind more than a hundred emails, many thousands of photos, and too many texts and voicemails to count. The thing is… I’m not that upset about it. Since being back, I’ve spent more time with friends than I spent in nearly all of 2016. I’ve read a few books, gotten into a new TV show, and spent loads of quiet time journalling and reading my Bible. I’ve been able to rest, to spend time on the activities that rejuvenate me. 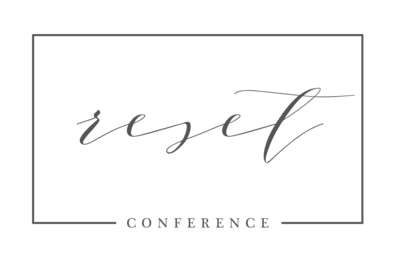 When I found the Reset Conference, I was so excited that there were people out there who were dedicating an entire weekend to talking about balance. Who cared about excellence in business, but even more about excellence in life. Delusionally, I told myself that I was good at balance. But two weeks in rural India showed me how much work I still have to do in that department, and I’m glad it happened before Reset so that I could come more humbly, speak from a place of learning, share with you what has really worked (and what hasn’t). 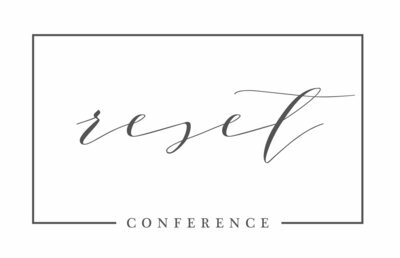 I can’t wait to meet you all at the Reset Conference in just over a month. Let’s make the most of it together, and let’s also remember to prioritize balance whilst we’re there. I’d love to hear from you beforehand on what struggles and triumphs you’re having with REST in your life. I’ll be sharing mine on Instagram, where you can find me at @megankuethen, but I’d also love for you to email me at hello@megankuethen.com. Wow, how powerful! Thank you so much for sharing from your heart and showing us that vulnerability we all struggle with to some degree. Welcome to Reset, Megan!